It almost snuck under the radar as Brexit fever gripped the continent, but EU leaders made a significant announcement at the summit on Tuesday (28 June). 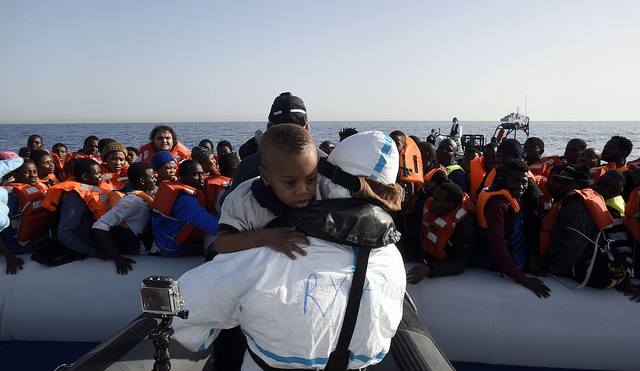 “In the central Mediterranean area, the influx of migrants, who are predominantly economic migrants, has not decreased in comparison with last year,” they announced. Commission Vice-President Federica Mogherini has therefore been tasked with making the necessary preparations to “return irregular migrants before the end of the year”. Repatriation, irregular migrants, “before the end of the year”, have become part of Brussels’ everyday jargon since the shameful mess of the Balkans route began to unfold. This time, however, it appears they are going to be followed up with action. After its declaration, the EU has ceased its mere lip service to migration policy and has green lit a Commission paper that is set to open up a new era in tackling irregular migration. So-called “migration pacts” are in the pipeline with selected African countries, in an attempt to stymie the number of migrants making their way from Africa. Countries such as Nigeria, Sudan and Mali will act as outer defence posts, charged with filtering migrants thousands of miles before they reach the EU’s external border. In return, the EU hopes to provide participating countries with investment programmes and development aid worth a staggering €62 billion. 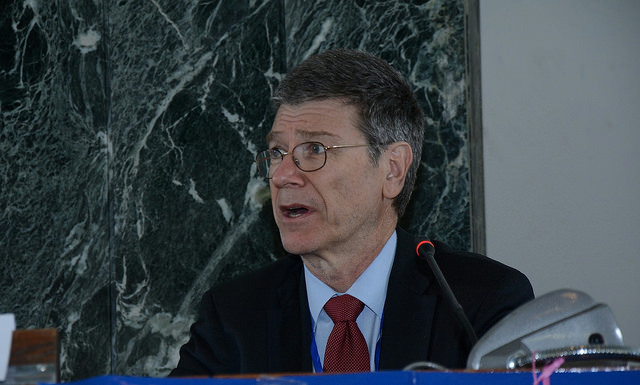 One of the world’s leading economists, Jeffrey Sachs, has told EURACTIV’s partner WirtschaftsWoche why Africa needs more development aid. He also urged Europe to be more like China. The core idea of the new refugee programme is to increase European border security by reducing the number of people making the often lethal voyage across the Mediterranean and tasking African governments with doing a more thorough job of processing migrants than is currently being done in the EU. So far, the measurable success of European countries in dealing with the migration crisis has been negligible. To date, its policy has been less about sustainable solutions and more about national governments working alone and a general lack of ideas. The EU’s much criticised deal with Turkey, touted as the way forward by the European Commission, has been shown to be more of a desperate act brought about by pressure exerted by Angela Merkel, than an actual solution. While the Commission highlighted sustainable strategies intended to tackle the reasons people leave their countries in the first place, including the involvement of private investors in supporting local markets, its position on where refugees’ final destination should be has been made clear: it is not Europe. The executive maintains that migrants and refugees should be able “to remain as close as possible to their homes and avoid dangerous migration routes”. 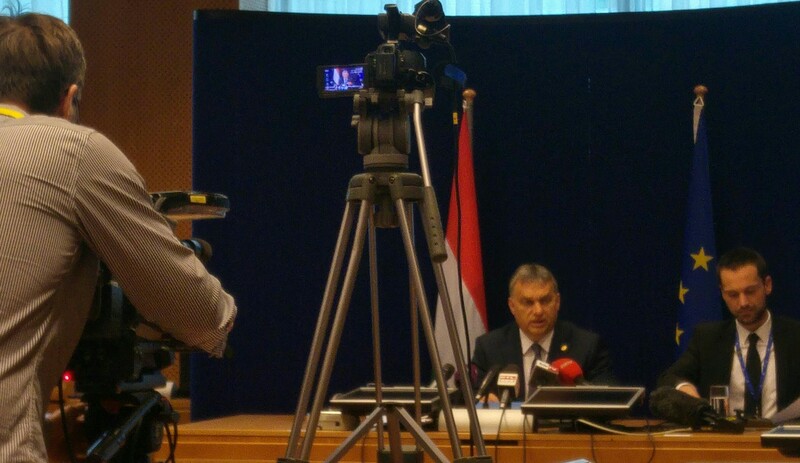 To achieve this, the executive is prioritising closer cooperation with countries of origin and transit countries. 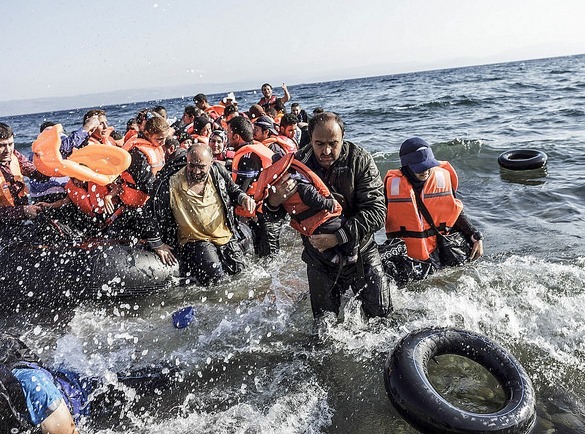 More than 100 NGOs have called upon the European Commission to put a stop to its controversial migration plan. EURACTIV Germany reports. It is set to be very much a carrot-and-stick approach, as participating countries will be rewarded with generous incentives, while uncooperative states will feel “consequences” in nearly “all policy areas”, like education, energy, climate change an agriculture. The European Commission had not replied to a request for comment by euractiv.de at time of publishing. But human rights organisations have been quick to denounce the plan. “As Europeans, we cannot close our eyes to the things that cause flight and the people that need protection,” said the CEO of Pro Asyl, Günter Burkhardt. He added that this kind of plan was evidence of an “out of sight, out of mind” attitude. Médecins Sans Frontières also criticised the Council for its decision and warned of the “serious humanitarian consequences of the agreement, especially in Greece”. However, it is unlikely that these criticisms will force any kind of rethinking, as the project has huge political support and financial clout to boot. There goes the members NATO budget….again! It seems the only solution the EU has every time for muslim countries is to reward criminal behavior. The solution from Merkel to reward the despicable Turkish stream of fortune seekers? To give them €6 Billion a year, Visa and accession to the EU. Now the EU has found a solution. Let’s pay for extortion, €62 NO LESS! And they still don’t understand why the people voted for Brexit? There are people dying of hunger in the EU. There are people dying because they can’t pay their medicine in the EU. And now you are going to throw money to these criminal muslim countries? One day, they’ll be reckoned with! “And they still don’t understand why the people voted for Brexit” -sadly for you in the UK they did not – around 75% (18 to 36) voted remain. sorry to spoil your lie. As for migration – people do it for various reasons – not least no prospects in their homeland. Some of the E62bn will be used to address this. As climate change advances the refugee flow from Africa can only increase unless jobs and economic opportunity are created for Africans in their countries of origin. What is not mentioned in the article is that Africa not only presents the threat of ever more refugees but also the opportunity for trade for Europe. Africa is the fastest growing continent in the world expected to maintain 6% growth into the foreseeable future. With its 2 billion people by 2050 Africa will emerge as a much larger market than China. And it is next door. Africa needs what Europe produces. Africa also needs help in developing its human capital. Research, higher education – all are expanding rapidly and represent opportunities for European universities and technology and equipment providers. This is an excellent start. Let’s hope that it is followed by engagement of communities and cities throughout Europe to build closer relationships between Africa and Europe.